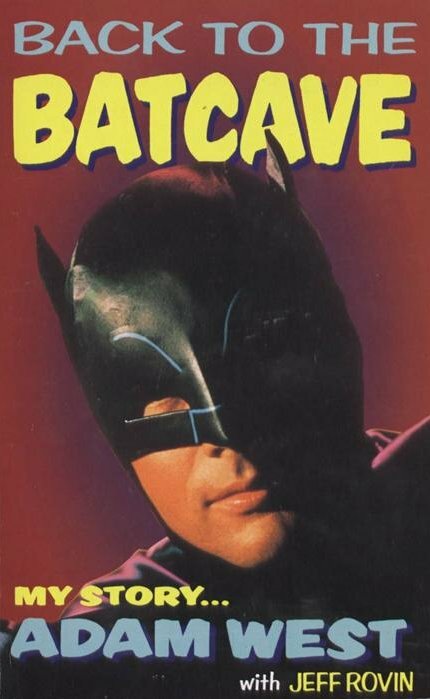 Back to the Batcave My Story... Adam West. One day in the sixties he woke up as a star. The Batman TV show had become an overnight smash, rocketing its little known lead actor suddenly into the bigtime. He worked with a galaxy of top stars including Burgess Meredith, Eartha Kitt, Liberache and Vincent Price, He was on the cover of Life, shared a publicity agent with Clint Eastwood, and sang with Bing Crosby. On one day seven thousand children poured into Central Park in New York to meet him, even the pope was a fan. But within two years Batmania had faded, and Adam West had to face an uncertain future, where being typecast as a comic book hero in tights would haunt him. For the first time, Adam West tells the inside story of his helter skelter ride to fame, and reveala, with a wry sense of humour, ihe impact on his life and career of his fateful decision in 1965 to don the cape and cowel of the worlds most famous crimefighter. Includes candid photos and a complete TV episode guide.